Good news for procrastinators! You have an extra weekend to get your paperwork in order and submit your tax returns and/or pay any tax due—thanks to Washington, D.C.’s official observance of Emancipation Day. Because the District of Columbia holiday celebrating the end of slavery falls on April 15 this year, the IRS has extended the federal tax-filing deadline to April 18, 2016. The IRS considers all public holidays observed in D.C. to be national holidays. Your 2015 tax return is considered filed timely if it is submitted electronically or mailed by April 18. If mailing a paper return, ensure that the envelope is properly addressed and postmarked by April 18. This deadline also applies for the first installment payment of estimated 2016 income taxes. Taxpayers also have until April 18 to reduce their taxes by contributing to an IRA or a health-savings account. If you still don’t think you can meet the extended deadline, file for an automatic tax extension or ask your tax professional to file it for you by midnight, April 18. It’s important to note that is an extension of time to file—not to pay! You should still send an estimated amount of tax owed to avoid any penalties for late tax payments. However, if you expect a tax refund and you file late, there is no real penalty other than a delay of your refund. For filing state tax returns, Minnesota grants all taxpayers an automatic six-month extension—there’s no need to file a form for this extension. The extended due date is Oct. 17, 2016. As with the federal extension, you must make a good-faith effort to estimate your tax due and pay at least 90% of that amount by April 18 (you will be charged interest for any balance unpaid). Otherwise, a late-payment penalty will be assessed. Request direct deposit of a refund for convenient and faster access to your money. Make sure the financial institution routing and account numbers entered on the return are accurate. To reduce errors, consider using tax software or a tax professional. And remember to double-check all exemption boxes and review all figures entered—including income, deductions and Social Security numbers. The clock is ticking. 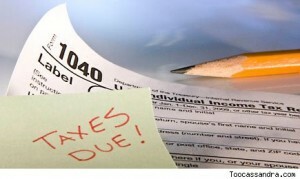 Contact us today for help filing your last-minute tax return.